RBI Grade B Officer Recruitment 2015-2016: Reserve Bank of India has published the RBI Grade B Officer advertisement 2015 through it's official site (www.rbi.org.in). The RBI Grade B Officer online application form invites from the eligible candidates. Here we provide the direct link for the RBI Grade B Officer 2016 notification/application form in Indrajobinfo.co.in. 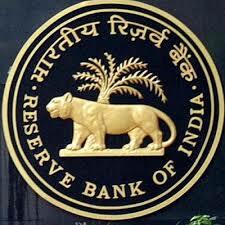 The aspirants who are searching the latest bank jobs in RBI can apply the RBI Grade B Officer vacancies 2015. The date of the online application form begins from 5th October 2015. The candidates who fulfill the eligibility criteria can apply the RBI Grade B Officer jobs 2015 on before 23rd October 2015. The Reserve Bank of India has been announce the RBI Grade B Officer notification 2015 to conduct the exam for the for eligible candidates on year. The jobs seeker in India must like our facebook page for latest job related notification on correct time. We also provide the instruction to the candidates how to apply the RBI Grade B Officer vacancy 2015. You can also check the RBI Grade B Officer syllabus 2015 on the official site. Our team member will going to update the exam pattern/syllabus in Indrajobinfo website very soon. So the candidates stayed tuned our portal. Facebook Like Page: Instant Jobs Updates. Candidates should possess the Graduation with minimum 60/% from a recognized university/institute. The application should have an age limit not less than 21 years and not more than 30 years as date of the application. Age relaxation for the candidates as per the govt guidelines. The selection of the aspirant in RBI Grade B Officer 2015 will be based on the following rounds. RBI Grade B Phase II exam date: 07th December 2015. Online Registration for RBI Grade B Officer Application Form 2015.